Alan S. Goldberger is an attorney, speaker, and author. A nationally recognized authority on sports officiating and sports law, his practice is concentrated in the areas of sports law, business law, sports insurance defense, association law, and business and chancery litigation. Alan is frequently retained by major insurance companies and claims administrators to defend sports organizations, game officials, coaches and other individuals in sports related claims. He serves as counsel to national, state and local officiating and sports organizations; and insurance carriers in the sports industry. He is a member of the New Jersey, New York and Maryland Bars; and is also admitted to practice before the U.S. District Court for the District of New Jersey, the U.S. District Court for the Southern District of New York, the U.S. District Court for the District of Maryland, and the U.S. Court of Appeals for the Third Circuit. Alan Goldberger addresses the new legal requirements of the Protecting Young Victims from Sexual Abuse and Safe Sport Authorization Act. 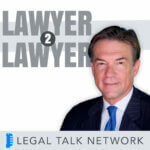 Attorney Al Goldberger from the Law Offices of Alan S. Goldberger discusses sports concussions at various levels including pro, college and youth sports. How concussion protocol has changed in recent years, primary concerns of insurance carriers and how attorneys can counsel them. Special thanks to our sponsor, A.M. Best Company, Best’s Recommended Insurance Attorneys & Adjusters, including Expert Service Providers.